This cultural tour offers a close-up look at everyday life in Hong Kong—a great option for returning visitors. Through historical photographs, documents and models, the Hong Kong Museum of History traces Hong Kong’s evolution from sleepy fishing island to world-stage metropolis. 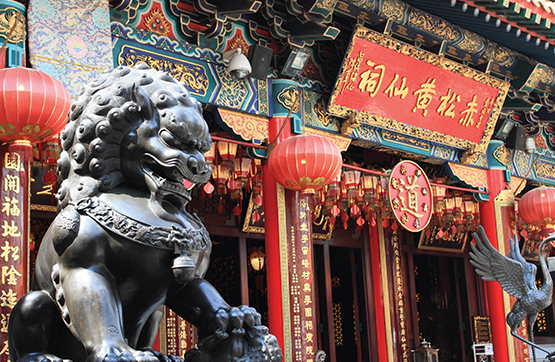 Visit one of Hong Kong’s largest Taoist temples, the Wong Tai Sin Temple, and enjoy a rare opportunity to observe the daily rituals here. Taoism and Buddhism are the dominant religions of Hong Kong. Kowloon’s Walled City Park was once a refuge for criminals, but is now a superb Chinese garden. Some of its displays depict the garden’s notorious history. Depart the pier for Hong Kong Island traveling under Victoria Harbour by tunnel. Your destination is the Peak Tram Station. You’ll ride the Peak Tram funicular railway to the top of Victoria Peak to enjoy a panoramic nighttime view of Hong Kong Island, Victoria Harbour and the Kowloon Peninsula spread out far below. The Peak sits at 1,805 feet above sea level. 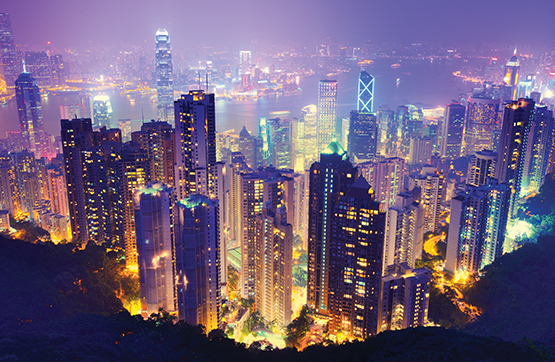 Driving back down by coach, stop at a local tram station and board a double-decker tram for an evening tour of Hong Kong’s hottest nightspots. Hong Kong residents love these unique double-decker trams, which slowly wind their way through the busy streets of the island. The tram is the ideal way to explore the exciting and bustling city life in Hong Kong. Sit upstairs or downstairs and enjoy the ever-changing scenery as the tram returns to Central. After your tour, re-board your coach for the drive back to the pier and ship.